The Paul Bunyan Board of Realtors covers the counties of Missaukee, Roscommon, Wexford and the cities of Cadillac, Higgins Lake, Houghton Lake, Lake City, Roscommon and more. 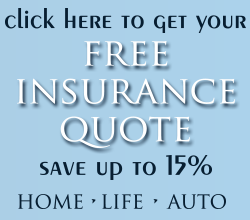 For a map of the coverage area please visit our Property Listings page. Please click on an image below to see available listings. 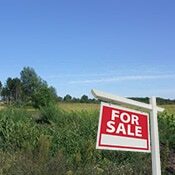 Browse over 1,000 vacant properties covering the counties of Antrim, Benzie, Clare, Crawford, Missaukee, Roscommon, and Wexford. 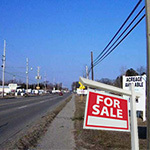 Vacant property in Cadillac, Higgins Lake, Houghton Lake, Lake City, Roscommon and more. Browse over 1,800 residential properties covering the counties of Antrim, Benzie, Clare, Crawford, Missaukee, Roscommon, and Wexford. 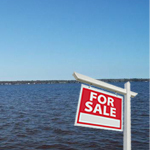 Residential properties in the cities of Cadillac, Higgins Lake, Houghton Lake, Lake City, Roscommon and more. Browse over 250 commercial properties located in Cadillac, Higgins Lake, Houghton Lake, Lake City, McBain, Roscommon, Clare, Prudenville and many other local areas. Homes with private lake access! 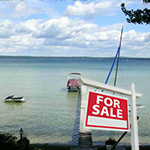 Homes in Houghton Lake, Higgins Lake, Manton, Roscommon, Cadillac, Prudenville, St. Helen, Gaylord and more. These homes with private lake access at these rock bottom prices will not last long. 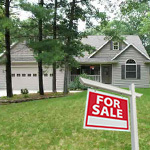 Browse, and then contact Ken Carlson to show you the listings. Lakefront homes! 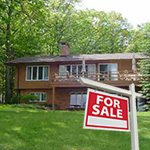 Homes in Houghton Lake, Higgins Lake, Manton, Roscommon, Cadillac, Prudenville, St. Helen, Gaylord and more. These lakefront homes at rock bottom prices will not last long. Higgins lake is the 10th largest lake in Michigan, with over 21 miles of shore line, and a surface area of almost 10,000 acres. The lakes crisp cool waters are home to one of the best trout and cold water fisheries in the country, with a south basin of 100 feet and north basin of 130 feet in depth. Higgins Lake is approximately 4 miles in width and 7 miles in length. Lakefront homes on Houghton Lake. Houghton Lake is the largest inland lake in the state of Michigan, and one of the largest natural inland lakes in the United States (many man-made impoundments are much larger). The lake is partially within four townships: Markey Township on the northeast, Denton Township on the southeast, Roscommon Township on the southwest, and Lake Township on the northwest. Lakefront homes on Lake St. Helen. Lake St. Helen is a 2,400 acre public lake located in Roscommon County, Michigan, and borders on the community of St. Helen, Michigan. It is the headwaters for the south branch of the AuSable River. Fishing is available throughout the lake, albeit different fish are found in different places, and includes: bass, bluegill, brown trout, crappie, lake trout, perch, pike, rainbow trout, smallmouth bass, and walleye. 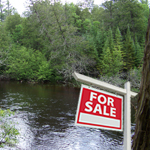 Northern Michigan Riverfront Property including AuSable Riverfront Property on the North Branch of the Ausable, the South Branch of the AuSable, and the East Branch of the AuSable in addition to Manistee Riverfront Property. 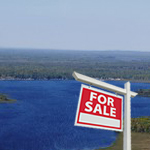 Riverfront properties span the cities of Grayling, Kalkaska, Traverse City, Mio, McBain, Cadillan, Fife Lake, Roscommon and more! Ken Carlson Realty is well connected, well respected, and well informed and is the preferred Northern Michigan Realtor ®.